Russian facial paralysis patient’s before and after Korean traditional acupuncture treatment. 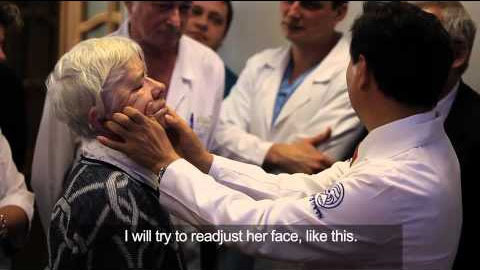 Dr. Shin has visited Moscow for a lecture in national university and treated a patient who has facial paralysis. You will see the huge difference between before and after.